Man City impressive but may live to regret transfer window - Agreed? | The Transfer Tavern | News, breakdown and analysis on all things football! Tempting fate: Will Manchester City regret not signing a defensive midfielder this summer? Manchester City’s title defence got off to a good start after the Premier League champions brushed aside Arsenal 2-0 at the Emirates thanks to goals from Raheem Sterling and Bernardo Silva. With Kevin De Bruyne having returned to pre-season late due to the World Cup and David Silva unavailable, Pep Guardiola deployed a midfield three of Bernardo, Gundogan and Fernandinho. The trio were unable to control the game in the way Manchester City usually do when De Bruyne and Silva are in the side, but their overall performance was still pretty good with Bernardo, in particular, flourishing in the more central role that Guardiola had given him. Meanwhile, Fernandinho, as he has done for much of his spell at the Etihad, worked hard at the base of Manchester City’s midfield. But given the fact that the Brazilian is now 33 and how the game in the second half started to uncharacteristically sway away from the Citizens, it would be understandable if Guardiola felt disgruntled with not being able to bring in a senior defensive midfielder during the transfer window. 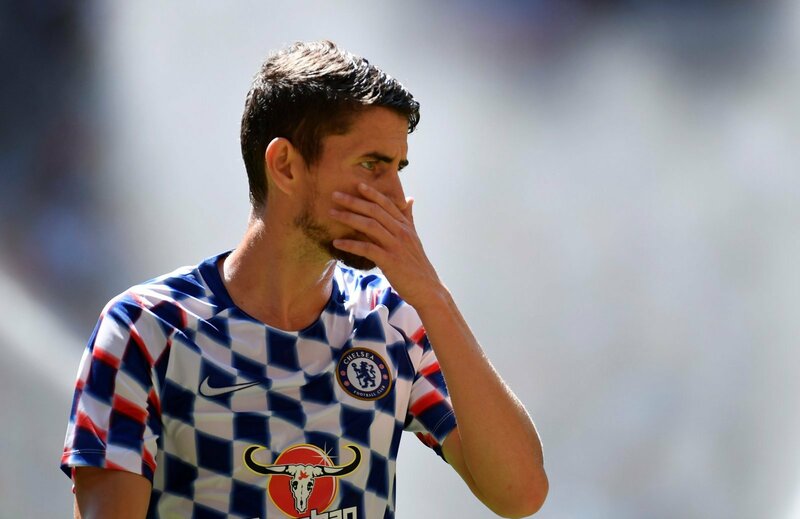 It is games like the one against Arsenal where, perhaps, a player like Jorginho could have come on for Fernadinho and helped Manchester City to regain control of the game. But with the club’s primary target now playing his football at Stamford Bridge, as Guardiola has previously stated (via City Watch), the likes of Ilkay Gundogan and Fabian Delph will have to carry out that deputy/alternative role to the best of their ability. That being said, the failure to sign a defensive midfielder in the summer transfer window is not enough to put Manchester City in an unfavourable position in the Premier League title race. Albeit not as effective as someone like Jorginho, Gundogan, for example, is more than capable of playing as Manchester City’s deepest midfielder, while the Premier League champions’ squad is still stacked everywhere else. Up front, Guardiola has Sergio Aguero and Gabriel Jesus to choose from, while in the positions behind, the Spaniard can pick two of Sterling, Bernardo, Leroy Sane and Riyad Mahrez to complete his attack. Meanwhile, in defence, Guardiola is absolutely spoiled for choice. The former Bayern Munich and Barcelona boss has captain Vincent Kompany, Nicolas Otamendi, John Stones and Aymeric Laporte at his disposal when it comes to forming the heart of Manchester City’s backline. Make no mistake, though, adding Jorginho to Manchester City would have taken Guardiola’s side to another level. However, the Citizens by far still have the best squad in the Premier League and one capable of doing something special once again.